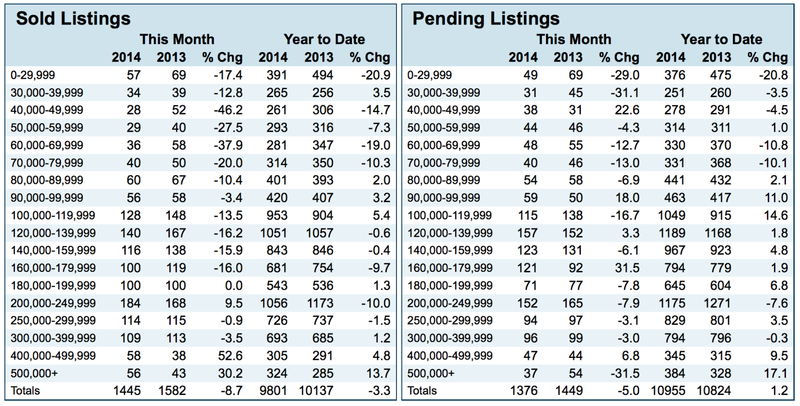 The numbers for Louisville Home sales are in for August 2014 and there are a lot of questions. First the good news, the average sale price for Louisville homes was up 10.34% compared to a year ago. The number of continues days on the market was down 9.57. So prices are up and days on the market are down but that’s just the start of the new numbers. As of this writing Louisville Home sales slowed 8.4% and the number of homes going under contract down 5.0% when compared to August 2013. The reasons for the slowdown have some experts scratching their heads and the media has yet to pick up on the problem. To those of us working in the trenches the reasons are obvious and it’s just a matter of time till you start hearing about this in the mainstream media. Foreclosures and short sales have slowed as the economy slowly recovers. So right away there are fewer homes on the market for investors to buy and flippers to scoop up. It’s going to take some time for the investors and flippers to realize the new normal means the quick profits are over (at least for now). With the supply down, the distressed inventory banks have on their books are being listed for sale at higher prices as banks hope they can recover more money from their inventory homes thanks to rising home prices. Meanwhile buyers are still looking for deals and steels but are finding they are far and few between. So they sit on the fence and wait for a deal that may never come. Offers are falling apart because buyers are finding out their credit is not what they thought it was. The problem was caused by government guidelines forced on banks years ago. Loan officers are not able to properly qualify buyers until they make application. Buyers wont make application until they have an accepted offer on a home. But in order to send in an offer on a home, buyers and sellers agents want a pre approval letter. See the problem yet? It’s a catch 22 situation; the banks can’t qualify a buyer properly until there’s an offer. The pre-qualifying letter that accompanies an offer from a bank may not be accurate because banks haven’t been able to run a credit check until the offer has been submitted. Deals are falling apart. To add insult to injury, the buyers looking for homes are finding fewer to choose from. 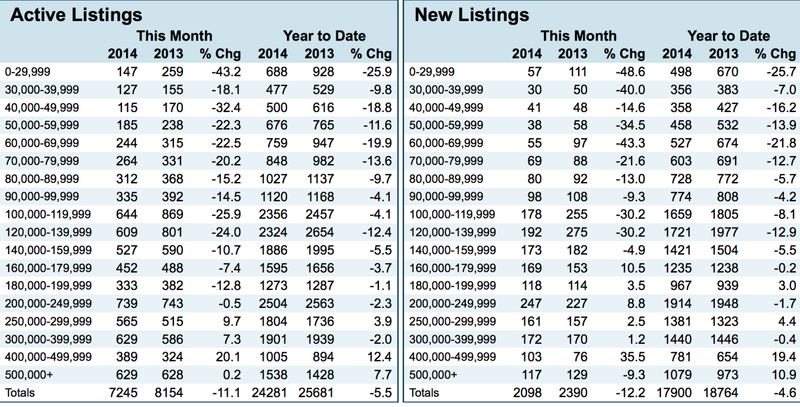 The number of active listings in August was down 11.1% from the year before. 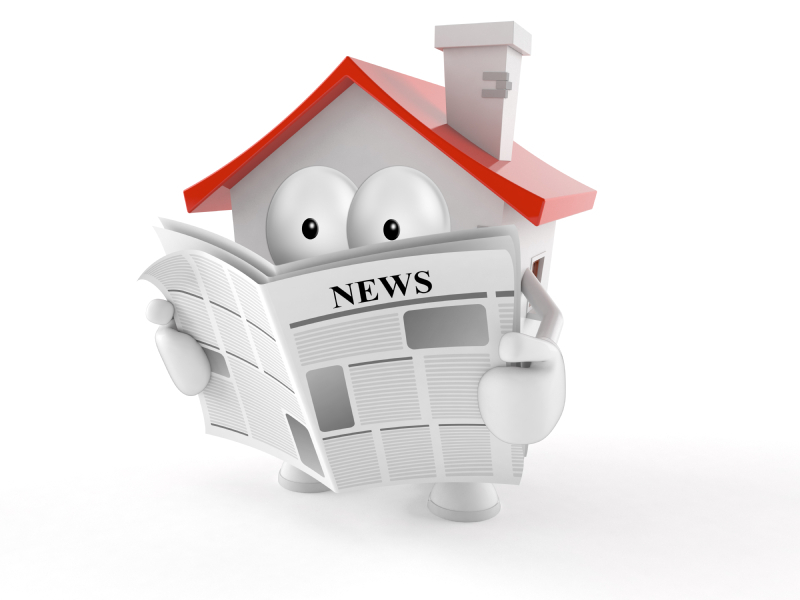 Just as concerning the number of new homes coming onto the market last month was down 12.2%. What’s ahead? The numbers were skewed last year because of the number of foreclosures and short sales being sold. Yes the numbers are down this year but it’s because the market has changed not because the economy is failing. If your considering buying interest rates are steady at 4.12-4.25% Next year they could go up.. If your considering selling the lack of inventory means your home may receive more attention than in years past. Either way there’s good news ahead!